Affordable and Rugged Wind Turbine. The KidWind MINI Wind Turbine is a simple easy-to-build turbine with an optimally designed, efficient blade set that can light an LED bulb using a small house fan. 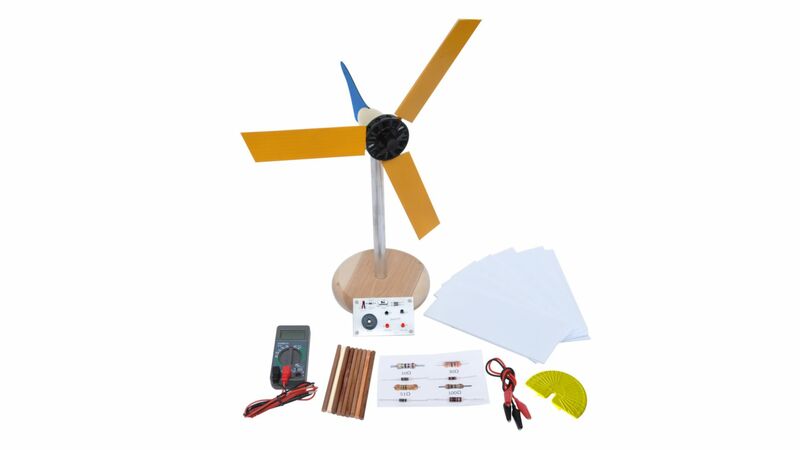 The KidWind MINI Wind Turbine with Blade Design allows students to explore basic wind energy production and blade design concepts such as pitch, area, mass, quantity, and material on a desk using a small house fan. 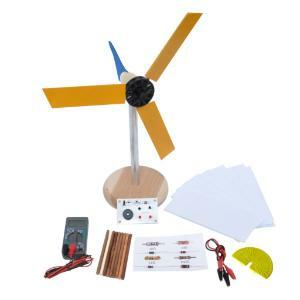 This kit is the recommended kit to use with Investigating Wind Energy.